Founded in 1977 Open Eye Gallery is an independent not-for-profit photography gallery and registered charity based on Liverpool’s Waterfront. One of the UK’s leading photography spaces, Open Eye Gallery is the only gallery dedicated to photography and related media in the North West of England. The gallery has consistently championed photography as an art form that is relevant to everyone. As well as presenting a programme of international, high-quality exhibitions the gallery houses a permanent Archive containing photographs dating from the 1930s to the present day. 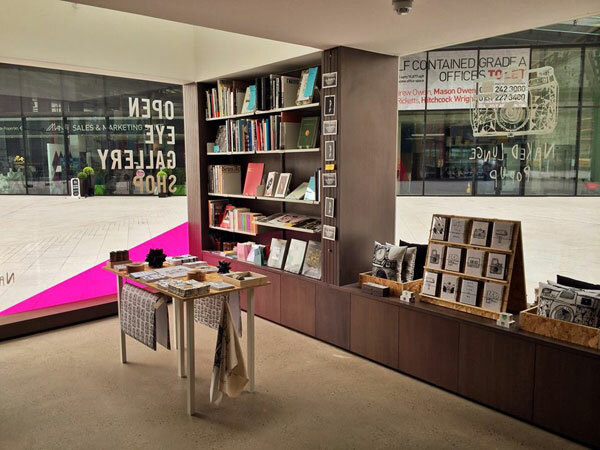 The gallery relies on funding, donations and income from the gallery shop to host exhibitions, workshops and events. We are inviting independent retailers, designers, illustrators and makers to submit pop-up shop proposals for our small, but perfectly formed gallery gift shop. We support local and regional artists/makers/creative entrepreneurs by offering a platform for promotion and sales. During 2014/2015 the gallery welcomed over 56,000 people to our exhibitions, we continually strive to offer our visitors something unique from our gallery shop. We are looking for design conscious products to sell in our shop: books, stationary, homewear, gifts and everything in between! Your merchandise should sit well alongside our contemporary publications, cameras and photography accessories. Please download our guest retailer pack for more information.